Until recently, the genetic aberrations that are causally linked to the pathogenesis of myelodysplastic syndromes (MDS) and myeloproliferative neoplasms were largely unknown. Using novel technologies like high-resolution SNP-array analysis and next generation sequencing, various genes have now been identified that are recurrently mutated. Strikingly, several of the newly identified genes (ASXL1, DNMT3A, EZH2, IDH1 and IDH2, and TET2) are involved in the epigenetic regulation of gene expression. Aberrant epigenetic modifications have been described in many types of cancer, including myeloid malignancies. It has been proposed that repression of genes that are crucial for the cessation of the cell cycle and induction of differentiation might contribute to the malignant transformation of normal hematopoietic cells. Several therapies that aim to re-express silenced genes are currently being tested in MDS, like histone deacetylase inhibitors and hypomethylating agents. It will be interesting to assess whether patients carrying mutations in epigenetic regulators respond differently to these novel forms of epigenetic therapies. Thol F, Winschel C, Ludeking A, Yun H, Friesen I, Damm F, et al. Rare occurence of DNMT3A mutations in myelodysplastic syndromes. Haematologica. 2011. doi: 10.3324/haematol.2011.045559. Patnaik MM, Hanson CA, Hodnefield JM, Lasho TL, Finke CM, Knudson RA, et al. 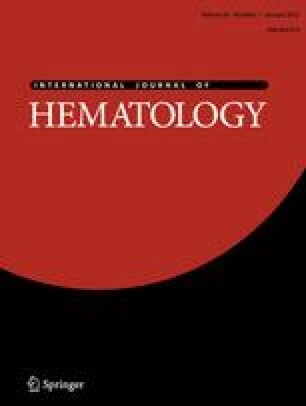 Differential prognostic effect of IDH1 versus IDH2 mutations in myelodysplastic syndromes: a Mayo Clinic Study of 277 patients. Leukemia. 2011. doi: 10.1038/leu.2011.298.